John Bershaw, one of the newest additions to the faculty of Portland State University’s Department of Geology, came to the GSOC Friday night lecture in April to discuss research he conducted for his PhD dissertation at the University of Rochester, New York. The topic of the research was using fossils to determine information about past climate change. Specifically, Bershaw’s task was to use oxygen isotopes in fossil mammal teeth to bracket the age of formation of the Andean Plateau (Altiplano) in South America. The use of proxies from the rock record as climate change indicators is widely used by paleoclimatologists. Methods include the study of isotopic compositions in fossil teeth, leaf morphology, tree-ring analysis, carbonate (limestone) analysis, gases encased in ice, or isotopic composition of lake and ocean sediments. Ideally, two or more methods are used to provide corroboration for a given problem in determining paleoclimates. Isotopic values from serial samples along the length of Oligocene Pyrotherium macfaddeni tusk (26.2 Ma) from Salla. Variation in δ18O suggests seasonality of surface water and rainfall over the time of tooth mineralization. Bershaw’s method was to grind off tooth samples from fossil teeth of herbivorous, water-dependent mammals found in fossil bearing formations in the Andes' Altiplano, a high, dry plain in found between high mountains in the southern parts of Peru and Bolivia, and the northern part of Chile (see map). The Altiplano averages about 4000 meters (13,000 feet) in elevation. The fossil teeth came partly from the Salla Formation, a 25 million year old sedimentary rock unit found today at an elevation of 3600 meters in Bolivia, and other Altiplano sites with 10 million year old and younger fossils. The tooth samples were analyzed for oxygen and carbon isotopic composition. In order to get a calibration scale for the model, one must first examine the isotopic composition of oxygen in the rainwater drunk by the mammals at various elevations in the study area. This was done for a cross-section that stretched up the Eastern Andean Cordillera, through the Altiplano and down the western side. Basically, the atmosphere contains mostly O16 with a small percentage of O18. At higher elevations, the heavier O18 tends to precipitate out and so the percentage of the O18 isotope diminishes downwind. Relationships were determined between elevation and O18 concentration. There are some seasonal variations in the numbers as well as continental and latitudinal variations which made the issue a bit more complex than the basic relationship of elevation, which were addressed by Bershaw in his interpretations. Next, one must see if the oxygen isotopic composition of mammalian teeth correlates with surface water. This had been done in a number of previous studies with established relationships. The fossil tooth sample results from the Altiplano were compared with values found from two other groups of teeth from herbivorous mammals. Samples were taken from 25 million year old teeth from a formation near Sao Paolo, whose owners lived near sea-level on the western edge of the continent. Additional samples were taken from modern mammals on the Altiplano. The fossil tooth samples from the Altiplano were then analyzed and compared with these other samples and the elevation/isotopic composition chart. It was found that the 25 million year old Altiplano fossils had an oxygen isotopic composition similar to the fossils from Sao Paolo, but the 10 million year old and younger Altiplano fossils had a composition similar to the modern teeth of the Altiplano, suggesting that the mountains were formed between these times. Research for this problem is ongoing with several types of climate proxies to confirm these results and further constrain the periods of mountain formation. It is hoped that the end result will determine how fast the Andes mountains formed from a lowland to the high mountains that are there today. Underlying this research is a problem in plate tectonics - Did the Andes form continuously and gradually as the Nazca plate subducted beneath South America, or were there periods of rapid (punctuated) mountain growth followed by periods of relatively little elevation change? At this time, the results of multiple climate proxies suggest that the punctuated mountain building model holds sway for the Andes. John Bershaw, Carmala N. Garzione, Pennilyn Higgins, Bruce J. MacFadden, Frederico Anaya, Herculano Alvarenga, “Spatial–temporal changes in Andean plateau climate and elevation from stable isotopes of mammal teeth,” Earth and Planetary Science Letters, 289 (2010) 530–538, available on Bershaw’s PSU faculty description page. DeLene Beeland, “The Andes' Mountainous Paradox: so tall, so young,” from blog Science Stories, updates on Florida Museum research, March 1st, 2009, Florida Museum of Natural History website. Wikipedia Proxy (climate)webpage describes ways paleoclimatologists use climate proxies in their research. Wikipedia Altiplano webpage describes the Andes Altiplano region. 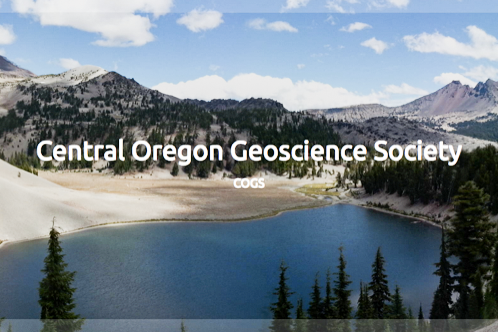 Paleontology, Climate Change, PSU Geology Dept.